Like every vitamin, specific recommendations for vitamin D dosages are made for all individuals. Dosages are also known as the Recommended Dietary Allowance (RDA). The RDA or dosage of vitamin D varies based on age, gender, and developmental stage. These are the recommended intakes put forth by the Food and Nutrition Board (FNB). 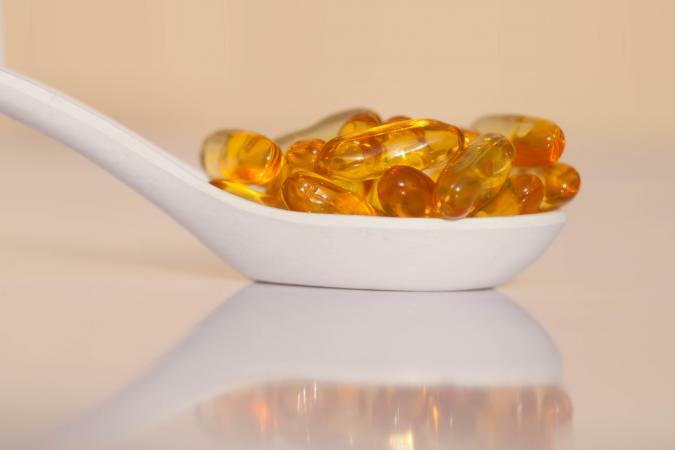 Does Taking Vitamin E Help With Menopause? The recommended dosage of vitamin D can also be impacted by skin color and geographic location. Although food sources provide some vitamin D, the body obtains most of its vitamin D from the sun. Thus, those in countries with less sunlight or with darker skin are more likely to experience a deficiency. Consuming the recommended dosage of vitamin D is crucial for those who are prone to deficiencies. The above vitamin D dosages can be met through diet, sun exposure, vitamin D supplementation or a combination of all three. Foods highest in vitamin D that can help you meet those dosages include mushrooms, salmon, mackerel, tuna, fortified milk, and eggs. Breast-fed infants, the elderly, darker pigmented individuals, those with minimal sun exposure, people suffering from inflammatory bowel disease, or those with a history of gastric bypass surgery can all be prone to vitamin D deficiency. These individuals and others concerned about their vitamin D levels can be tested for a deficiency. Vitamin D deficiency is indicated by serum 25-hydroxyvitamin D concentrations of less than 30 nmol/L. People that meet vitamin D deficiency criteria often supplement more than the RDA to correct the deficiency. Although no standardized protocol exists for this correction, the journal of Mayo Clinic Proceedings suggests that a large dose (50,000IU) once weekly for a few months followed by daily supplementation of 800 to 2000 IU for maintenance will correct a severe deficiency. All supplementation should be monitored by a doctor. Although higher levels are often supplemented to correct a vitamin D deficiency, those doses should only be used for a short period to prevent toxicity. Vitamin D is a critical vitamin for normal bodily function. This makes it crucial to ensure you are getting enough every day. Dosages for vitamin D are based on age, gender, and developmental stage, but skin color and geographic location also play a big role in the level you can absorb. Always consult a doctor before beginning any supplements.